April 10, 2017, Brussels, Belgium — Last week, one of the most prominent legal journals in the world, The European Journal of International Law, published an article on its website affirming that the European Union and its member states have a legal obligation to stop all trade with illegal Israeli settlements built on stolen Palestinian land. This indicates that opposition to trade with Israeli settlements is growing and becoming increasingly mainstream. As the EJIL article explains, Israel’s ongoing construction of illegal settlements on Palestinian land violates cardinal rules of international law like prohibit seizing of territory by force, forbid apartheid and population transfer as well as the right to self-determination. Under the Rome Statute of the International Criminal Court Israeli settlement construction may amount to war crimes. The legal conclusion that trade with Israeli settlements violates international law is supported by a vast community of international lawyers, including two former UN Special Rapporteurs, ad hoc judges to the International Court of Justice, a former president and members of the International Law Commission (the key UN body concerned with the development of international law). 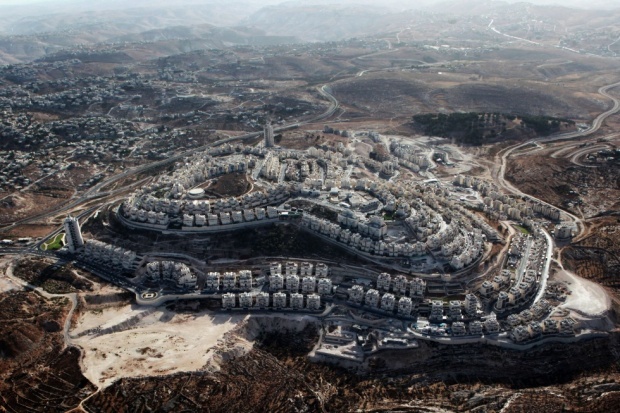 In the last few years, this vast legal community has refined its arguments and published an open letter calling on the EU and its Member States to comply with their international legal obligation to withhold from trading with Israeli settlements. In 2013, public pressure and lobbying by Palestinian and European organizations led the EU to introduce a policy against providing funding for or allowing Israeli participation in EU projects, if such projects or participation effectively recognizes Israeli sovereignty over occupied Palestinian and Syrian territory. However, the EU continues to trade with illegal Israeli settlements and provides funding to Israeli companies complicit in them through the EU Research Program called Horizon 2020. “If the EU fails to stop trade with illegal Israeli settlements built on stolen Palestinian land, it is the legal obligation of EU member states to act unilaterally and stop this trade themselves” – confirms Moerenhout. When Russia annexed Crimea and Sevastopol in 2014, the EU swiftly deemed these annexations illegal, and applied its own laws and international law to halt Russian imports from the illegally annexed regions. This EU import ban underscores the EU’s inconsistency and double-standard in not similarly banning imports from illegal Israeli settlements located in the Occupied Palestinian Territory. Stopping trade with Israeli settlements in Palestinian Occupied Territory is long overdue, and the EU’s continual failure to end this trade constitutes a hypocritical violation of its obligations under its own laws and under international law. EU trade with illegal Israeli settlements bolsters the settlement enterprise and helps it to survive and develop. States have a duty to not recognize the illegal settlements and to stop assisting Israeli violations of Palestinian rights in the Occupied Palestinian Territory. This obligation was explicitly recognized by the International Court of Justice in its legal opinion on The Wall and its content recalled in UN Resolution 2334. The European Coordination of Committees and Associations for Palestine (ECCP) was founded in 1986, and is a network of 42 European committees, organizations, NGOs, unions and international solidarity movements from 19 European countries, dedicated to the struggle of the Palestinian people for freedom, justice and equality.